Traeger Caramelized Onions are LEGIT. Throw them on burgers, in the best French Onion Soup you’ll ever have, or mix into a dip that’ll put any other onion dip to shame. 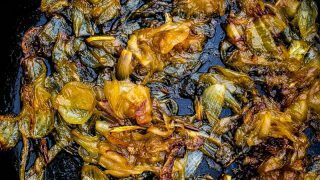 Caramelized Onions are one of the favorite things that I discovered I loved as an adult, that I assumed I hated as a kid. They are magical. Know what is better than regular caramelized onion though? 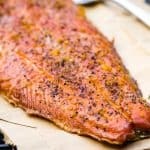 These are just slightly smokey, intensely flavorful, and all the way worth the effort. 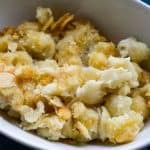 Make a few pans of these, and save some extras for things like these homemade pierogies, complete with homemade DOUGH. You can put them in my French Onion Stuffed Meatballs too, or my Instant Pot French Onion Beef Stroganoff. 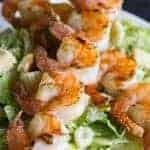 Want to eat them for an appetizer? 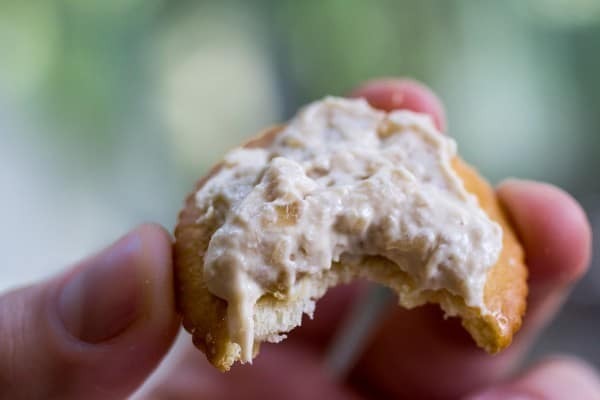 My French Onion Dip would be perfect. 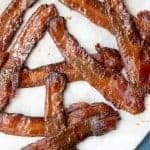 It is SO easy, especially on the Traeger. Heaps of onions meet butter and a pinch of salt and sugar are put into a cast iron pan, and then just left to do their thing. They cook on medium-low heat for 30-45 minutes, and you just open up the lid and stir it every 5-10 minutes or so. Remove when they like the photos in this post, and then hoard them as if your life depends on it. The key to getting good caramelized onions is to just be patient and try not to rush things. Time, patience, and a Traeger or other wood-pellet grill. 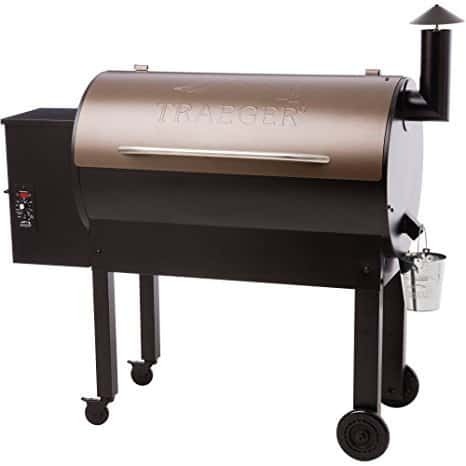 No Traeger? No problem. 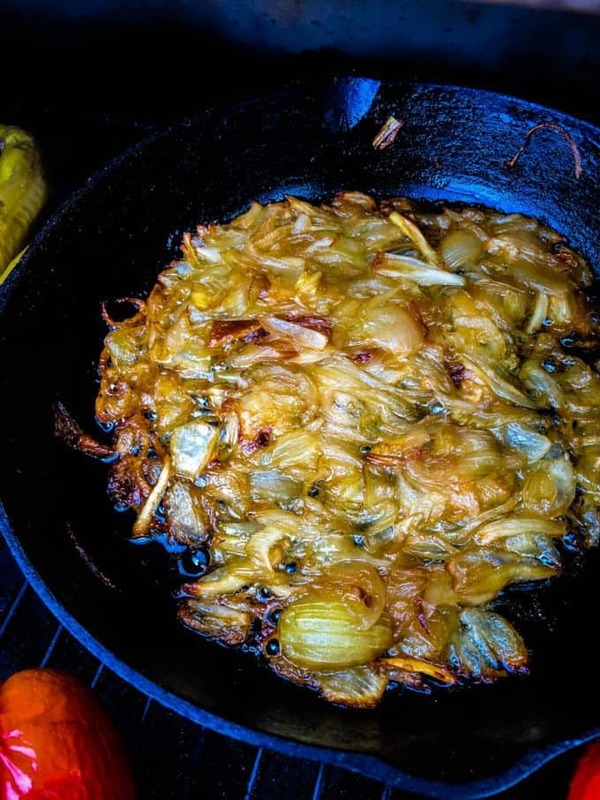 Stovetop caramelized onions are also delicious. 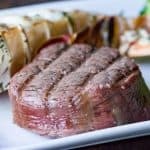 What Temperature Should I Cook These On? I ran these at 325. I like the level of smoke that happens at that temp, and it doesn’t cook these too fast. The last thing you want is to open up the grill at the end of the cook and have a big pile of burnt ick. 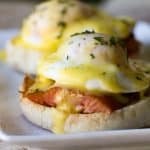 Cooking these at a lower temperature will help combat that, but I’d stick relatively close-by during the final 10-15 minutes of the cook time. This level of “done” would be perfect to put on top of burgers! 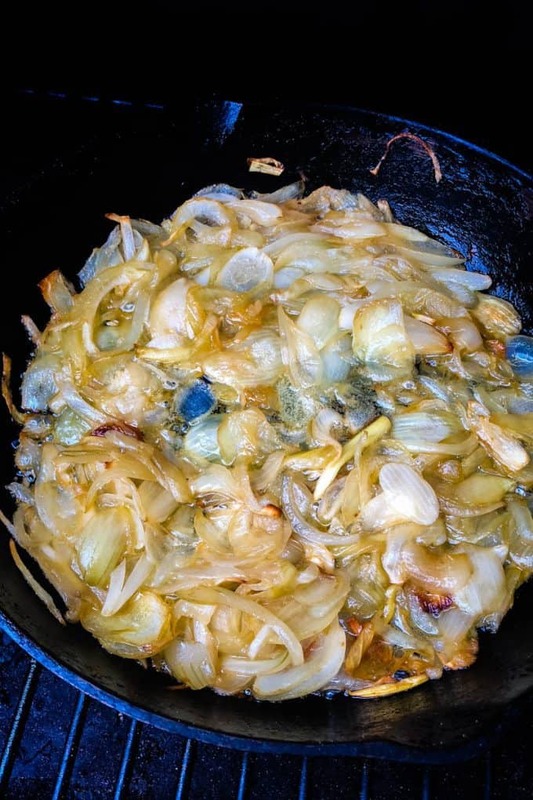 How Long Will Caramelized Onions Keep? 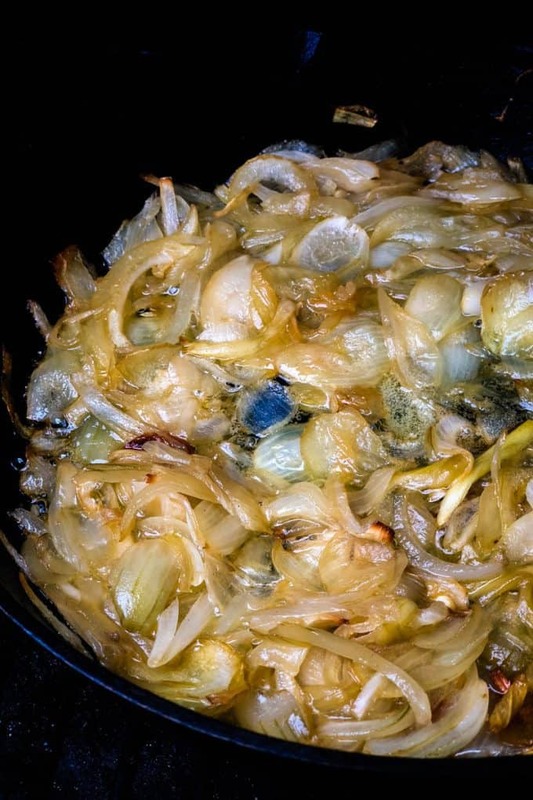 You should plan on using your cooked caramelized onions in 3-4 days, at the most. If you’d like to hold them beyond that, the Kitchn has a fantastic post on freezing them. I’d recommend that too. Freeze them in an ice cube tray and then pop into a big freezer baggie, and have them available anytime you want. 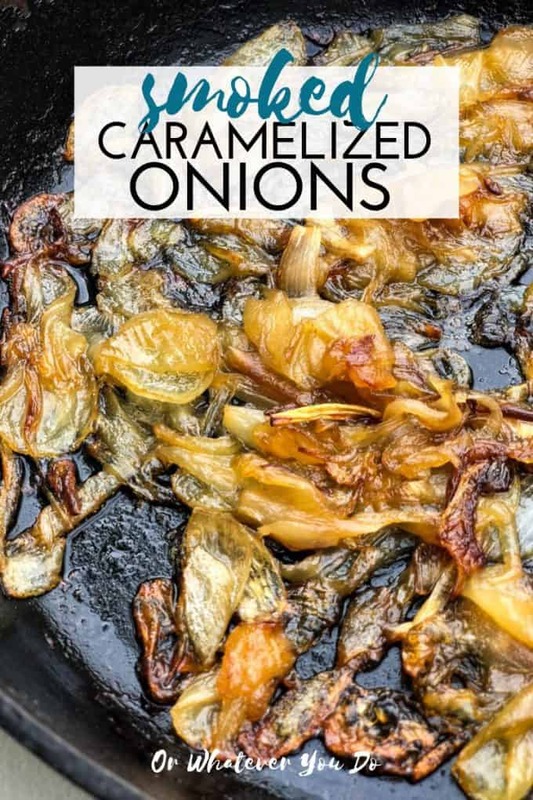 How Long Does It Take To Caramelize Onions? A LONG time. The longer the better, in fact. You really cannot rush it. This is going to take alllll over 45 minutes, so if it looks like it is going faster than that turn down the temp on your smoker cause you need to slow your roll. 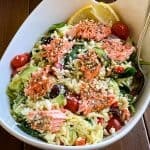 Like most of my recipes, there’s wiggle room here, so keep your eyes open and be aware, and trust your instincts over the recipe. 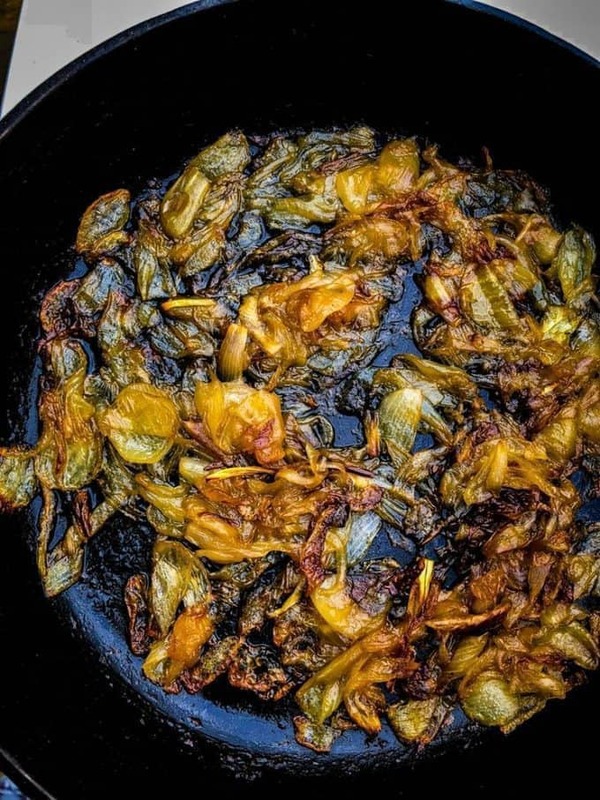 What are the best types of onions for caramelizing? I really like to use a mix of different onions including Vidalia or Walla Walla sweet onions, classic yellow onions, and red onions. If you don’t have a mix around, go for the giant sweet onions, and you’ll never be sorry! Can You Caramelize Onions In The Microwave? Maybe, but I’m a little offended that you are asking. Of all the things to cook in the microwave, caramelized onions aren’t one of them. In summary, make these. Just do it. You need them in your life, like nowsies. 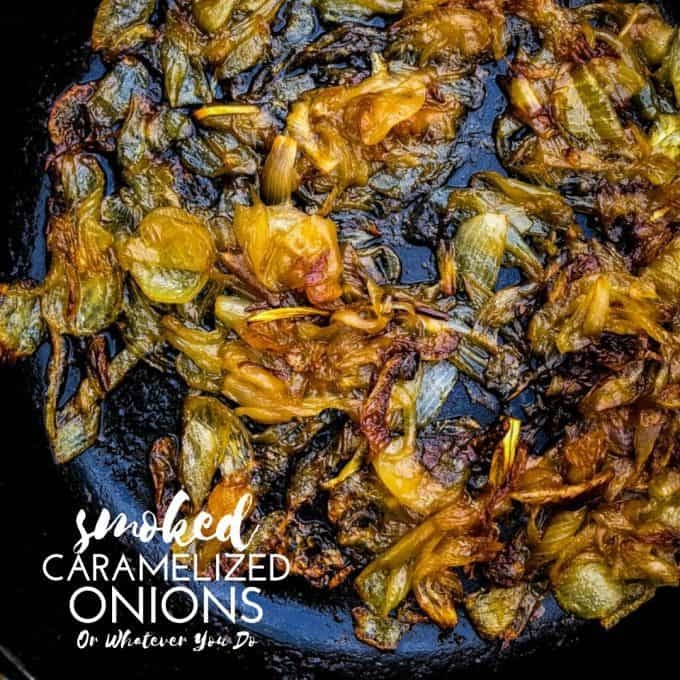 Delicious smoked caramelized onions are a whole new level of onion awesomeness. 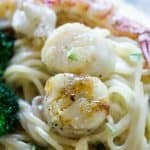 Place all ingredients into a large cast-iron skillet. Turn on your Traeger and preheat to 325°. 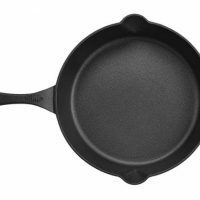 Place the cast-iron skillet on the grill, shut the lid, and cook for 15 minutes. Stir well, close the lid again, and cook another 10 minutes before stirring again. Continue cooking and stirring until the onions are browned and shrunk. Remove from the heat and enjoy! Oh good heavens! I agree the microwave should never be used to caramelize onions. I always do it on the stovetop but this has brought on a whole new level of flavor. SMOKED! Hello, I need this!